In September 2016, I met and presented FixStream’s Algorithmic IT Operations (AIOps) platform to Nutanix’s Alliance and Alliance Engineering team. They noticed very quickly that FixStream addresses an important need for their customers – delivering an operational analytics platform that ensures service assurance of critical business workloads deployed on the Nutanix Enterprise Cloud infrastructure. Built on cutting-edge Big Data technologies, FixStream’s correlation, analytics and visualization platform provides application-centric visibility in a hybrid IT environment by correlating across end-user transactions, applications and infrastructure layers. Its platform adds tremendous value in customers’ heterogeneous environment where Nutanix Enterprise Cloud is deployed, along with other multi-vendor infrastructure technologies. 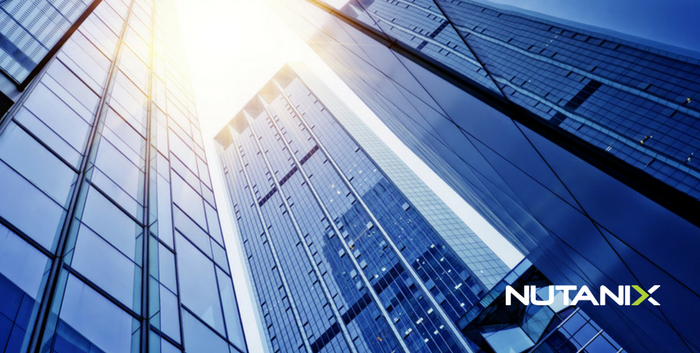 We decided to work with Nutanix as our first HCI partner for several reasons – first we were impressed with their architectural approach to a hyperconverged solution; built ground up while keeping ecosystem innovation in mind. Second Nutanix presence in IT is very complementary to FixStream’s strategy in that both Nutanix and FixStream’s solutions enable customer to accelerate migration to a hybrid cloud environment. Last (but not least) we have always been intrigued by the partner-centricity embedded in the company culture and vision. it’s pervasive in how Nutanix onboards, validates and market with its industry peers and partners. Soon after our initial meeting, we entered into an official partnership agreement with Nutanix and with their support, developed a solution that was released in FixStream 6.0. The Nutanix alliance team has been extremely collaborative working with our R&D and engineering teams, ensuring the successful delivery of the desired capabilities. FixStream delivers much-needed visibility and analytics for enterprises to successfully deploy critical business applications into Nutanix-powered (AHV or VMware hypervisor) environments and troubleshoot, plan and maintain going forward. FixStream for the Nutanix Enterprise Cloud environment enables significant ROI for enterprises customers. According to the Digital Enterprise Journal (DEJ – 2017), 80% of companies surveyed experienced an average MTTR of 4.2 hours. The cost of a minute of service outage was $72,000 if revenue was lost. FixStream can reduce MTTR to minutes, therefore allowing companies to potentially save millions of dollars. As technology transforms, it requires millions of data points to be manually correlated for daily operational activities such as planning, migration, workload placement, troubleshooting, and change management. This makes the activities extremely expensive, risky for business, and prone to errors. FixStream automates these tasks by correlating these data points across transactions, applications and infrastructure. Accelerates migration to Nutanix – With the end-to-end visualization, correlation and dependency mapping capabilities of FixStream, enterprises can now migrate from older infrastructure technologies to Nutanix HCI technology significantly reducing unforeseen business risks. The FixStream topology map, application dependency map, and data explorer capabilities provide the analytics required to plan and execute the transformation activities while lowering cost via FTE reduction and assuring performance of business services. Automates troubleshooting of business outages and reduces MTTR from hours to minutes – FixStream’s application map and time series event correlation pinpoints the exact root cause of the problem in the Nutanix Enterprise Cloud infrastructure, as well as connectivity to larger corporate network connected to Nutanix real-time. This reduces the MTTR from hours to minutes. The FixStream platform proactively identifies performance bottlenecks and notifies the operations team to take corrective actions. Resource Optimization and Application Workload Management – Through its performance Heatmap, FixStream provides analytics to operations team to realign resource allocation for optimization and cost reduction. Additionally, the Heatmap provides insights on available resources for new workload placement based on specific requirements for memory, disk and CPU. Automates IT Compliance and Reporting – Cross-domain, cross-vendor data across network, storage, compute and application are discovered by FixStream and stored in the backend ElasticSearch database. This allows allows users to query data for hierarchical output as needed for compliance analysis and reporting. The automation of this quarterly IT compliance activity significantly reduces costs for enterprises. We are very excited to jointly launch this solution in the market and help Nutanix customers realize the benefits of FixStream’s innovative AIOps platform capabilities. For more details on this solution, please visit our website.